Located in Medina, Elaf Al Bustan offers simply furnished accommodations. Masjid Al Nabawi is a 10-minute walk away from the property. All air-conditioned rooms are fitted with tiled floors. Each one includes a seating area with a flat-screen TV, a desk and a fridge. Featuring a bath, private bathrooms also come with towels. At Elaf Al Bustan you will find a 24-hour front desk and a mini-market on site. Other facilities offered include meeting facilities and a laundry services. 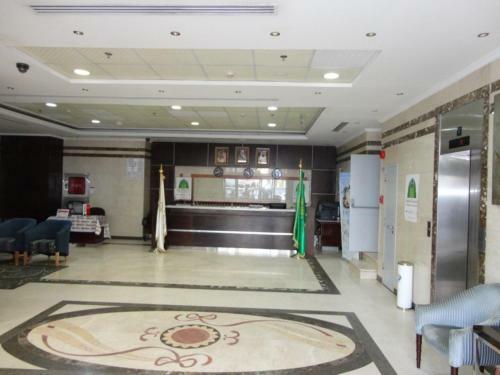 The hotel is 2.2 km from Madina Mall and 3.7 km from Al Noor Mall. Free parking is available on site.